Lanyards have been around since the 15th century when they were used by sailors to fasten rigging and carry functional items such as knives or whistles around their neck. Modern lanyards were strictly functional and generally available in widths of 10mm, 15mm, 20mm or 25mm. The only branding option was a basic screen print which involved applying ink to the surface of the lanyard material. The ink sits on the surface and does not ‘soak in’ so a separate screen print can be applied for extra colour combinations. Intricate logos, as well as any tonal colours or images were impossible to replicate on the ribbed polyester material. Skip forward to 2016 and lanyards are now available in a plethora of sizes, widths and so much more. The simple lanyard has evolved from being a necessary security feature to carry personal or access ID to often being of memorable and treasured souvenir value at special events. Dye sublimation print – sometimes also called Heat Transfer – this is digital printing technology using full colour artwork that works with polyester and polymer-coated material. Unique sublimation dyes are transferred to sheets of “transfer” paper via liquid gel ink. After the digital design is printed onto these sublimation transfer sheets, it is placed on a heat press along with the substrate to be sublimated. To transfer the image from the paper to the lanyard material, it requires a heat press process that is a combination of time, temperature and pressure. The result of the sublimation process is a virtually permanent, high resolution, full color print. As the dyes are infused into the lanyard material, rather than applied at a topical level (such as with screen printing), the print will not crack, fade or peel away under normal conditions. Another now popular option for branding lanyards is the weaving process. Sometimes it’s just a logo or simple tag line that is embroidered/woven into a soft fabric lanyard …. other times the entire neck strap is intricately woven in a myriad of colours. 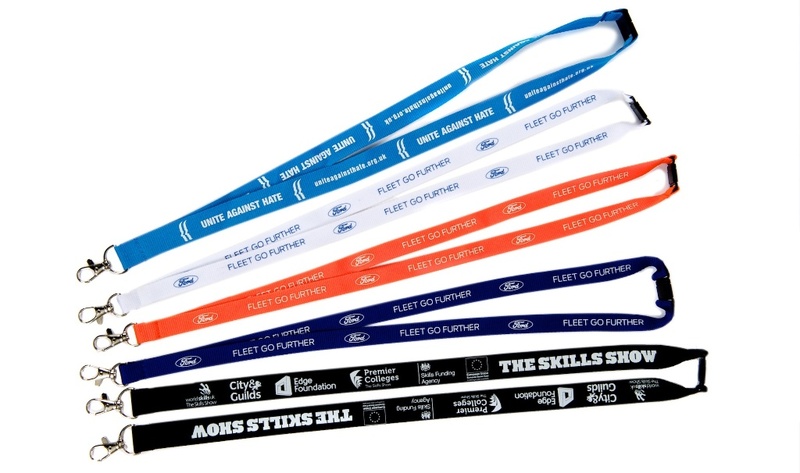 As this process becomes more sophisticated, relatively small text, images and designs can now be woven into lanyards to create a colourful and impressive end result. Some unusual results can be achieved be adding soft PVC pieces to a lanyard. Logo shapes, or outlines of objects like cars, can be moulded from soft PVC and then either inserted into the lanyard strap, or glued to the material surface. Moulded PVC shapes are also used to create the ‘zip pull’ for the very funky Zip Lanyards. Yes, the actual lanyard looks like one long zip. The zips can be pantone matched and the zip pullers offer eye-catching branding opportunities. The zip lanyards are fully functional and zip right up! The perfect accompaniment for fashionable events. The Silicone Wristband has long been a favourite with charities and awareness campaigns ….. now its big sister, the Silicone Lanyard, is gaining in popularity too. Silicone lanyards can be produced in several widths and can be printed, debossed, embossed, shaped …… anything the humble wristband can do, the lanyard can do in a bigger and bolder way. A relatively new addition to the lanyard family is the Metal Lanyard. These lanyards are more of a necklace than a lanyard! At the end of the attractive metal chain, a selection of contemporary branding solutions is on offer. From the simple swivel hook to more intricate detachable clips, these lanyard attachments can be engraved, printed, embossed …. an innovative array of options is available. All of the above lanyard straps can be fitted with an endless selection of clips, clasps, hooks, pouches, wallets, loops, holders, gadgets and much, much more. The buyer’s imagination is the supplier’s limit! 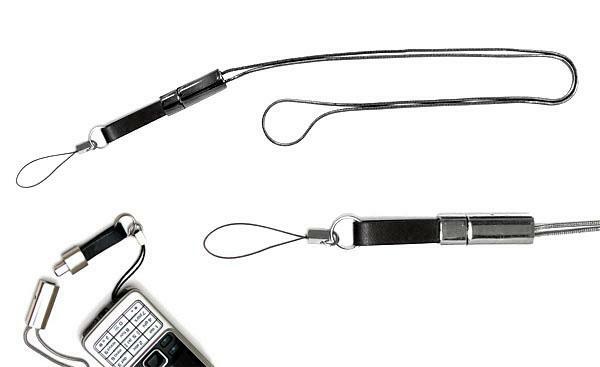 From its origins of being a necessary, but basic, security accessory, today’s lanyard has come a long way!